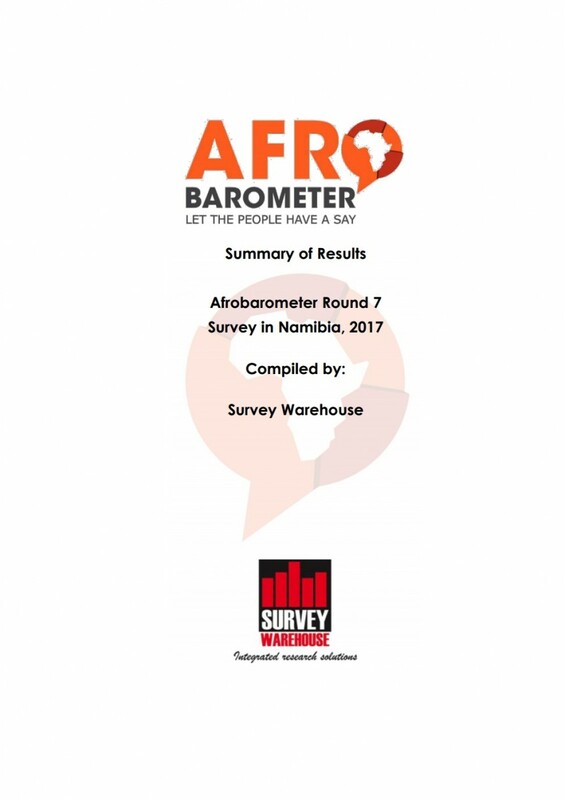 The Afrobarometer represents perhaps the best representation of Namibian public opinion on a range of political and economic issues. It is one of the few national, representative surveys carried out in this country – and certainly the one with the widest range, asking people about a range of issues, from their opinions on national leaders, to their relationships in the community and their priorities for the nation. We have already published several highlights from this round of the survey, which was conducted in November 2017. At our first event, we discussed issues unique to Namibia: what did people think of the influx of female MPs following Swapo’s gender quotas, and what were people’s opinions about the genocide negotiations with Germany, as well as the land issue? We also published a dispatch on Namibians’ views on the economy. Then, we discussed Namibian experiences of service delivery, their levels of trust in various government institutions (and approval ratings! ), as well as their thoughts on corruption. We also highlighted the findings on Access to Information, and people’s views of various freedoms related to freedom of expression and association. (See details from our second event here). Now, we are publishing the summary of results for all of the questions asked. Click here to view the results yourself.